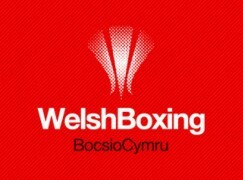 Matchroom Sport have brought big time boxing back to Wales with their ‘Reloaded’ show at Cardiff’s Motorpoint Arena tonight and they’ve assembled one of the most evenly matched events on Welsh soil for a long while. 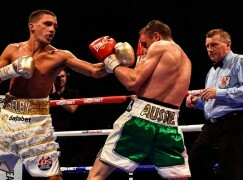 Lee Selby (17-1, 6KO) faces Rendall Munroe (27-3, 11KO) in the main event in a fourth defence of his British featherweight title, something no Welshman has done since Howard Winestone in 1963, and challenges for the vacant European title. After being taken on a tour of Britain in 2013, Selby has been brought home by Eddie Hearn to start Sky Sports’ year of boxing and it’s been well received by the ticket buying public with the show on the edge of selling out. Many observers have Munroe as the underdog given that he seems to be at the tail end of his career and without a championship level meaningful in a while. At his best, the former bin man’s best wins came against Kiko Martinez and Victor Terrazas and those wins look better now given that both went on to win world titles. However, a 2012 stoppage loss to Scott Quigg caused concern that the Leicester boxer may be on borrowed time. However, Munroe says that moving up from super-bantamweight to featherweight has revitalised him and he does posses qualities to ask questions of Selby. 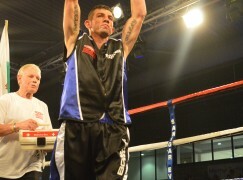 With just one southpaw on his resume, the journeyman Johnny Greaves, Selby is lacking competitive action against a southpaw but it’s worth noting that Munroe does tend to square up when he pressures and Selby has had skilful sparring with the likes of Mitch Buckland, Craig Evans and Maxi Hughes. A more telling advantage of Munroe’s could be his volume punching, something which kept off-setting Selby and giving success to his eventually beaten opponent Viorel Simion when they met in the summer. Despite this, it would be an upset if Munroe beat Selby. The Welshman needs to rediscover the ‘swag’ that saw him gatecrash the scene with quality wins over Stephen Smith, John Simpson and Martin Lindsay. 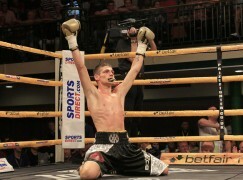 At times, Selby seemed flat in 2012, possibly due his overactivity but he can’t have any excuse on Saturday night. Selby looked refreshingly radiant at yesterday’s weigh-in and should he rediscover his ‘swag’, Selby could win clearly with his size being the biggest difference. 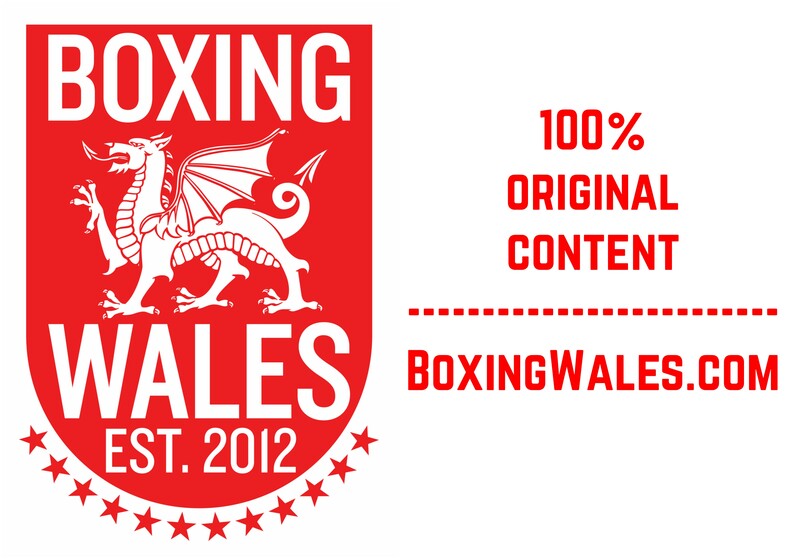 The Welshman is likely to dwarf Munroe on fight night and it wouldn’t be a surprise to see Selby win wide on points or by making a breakthrough by breaking Munroe’s body down. With Gavin Rees (37-3, 18KO) and Gary Buckland (27-3-9KO) coming off miserable 2013’s, this cross roads clash is one that neither can afford to lose and their British lightweight title eliminator may bring out the best in both. It wouldn’t be a surprise to anyone if the pair met in the centre of the ring and tore lumps out of each other, both can win in this scenario but it’s something that would suit Buckland’s volume punching. However, Rees has shown the edge in skill throughout his career, fighting with a controlled sense of chaos and it could be enough to remain one step ahead in a close, competitive but clear points win. One man with an unenviable task tonight is Aberdare’s Dorian Darch (7-2, 1KO) who must climb and fight a mountain in the form of Anthony Joshua (3-0, 3KO), London 2012 Olympics’ super-heavyweight gold medallist. Darch has made it known that he has no plans to just survive by staying away on the back foot, he plans to take the fight to Joshua and it may be interesting to see the Londoner forced to fight on the inside, something he’s not yet had to do, but it’s likely to only be brief. Expect Welshman to go out fighting and Joshua to look frighteningly cold in doing it to Darch. If there’s a fight that could one way or the other, it’s Jason Cook (29-5-1, 15KO) and Tony Pace‘s (4-6-1) Celtic welterweight title fight. There’s little doubt that Cook, a former European and IBO champion, possesses more power and a more polished skill set but there are questions whether a hungry and relentless Pace is getting Cook at the right time with it being the Maesteg man’s final appearance in a ring after thirty years of fighting. Both boxers expect a war but those types of fights sometimes disappoint, it’s worth warning that this may be messy if both of their come forward styles clash… or it could be all out assault. There are also step ups for prospects Chris Jenkins (12-0, 5KO) and Dale Evans (7-1-1, 3KO) who face Christopher Sibere (22-6, 8KO) and Eric Ochieng (14-2, 4KO) respectively. Swansea’s light-welterweight Jenkins has the opportunity to gain championship experience and a world ranking, albeit likely to be 30th or more, with his WBC International title fight. Carmarthen’s Dale Evans can crack and he’ll need to as Ochieng is likely to spend most of the fight on the back foot, in his shell. If Evans can keep the fight at range and not fall in to Ochieng’s inside traps, he could cause a shock here. Although Kerry Hope (19-6, 1KO) v Paul Moffet (3-0-1, 2KO), Tobias Webb (13-1-1, 2KO) v Nathan King (13-20, 1KO) and Tamua Mucha (6-0, 1KO) v Leon Findlay (5-4-1, 2KO) are supposed to be relatively routine workouts for the home corner boxers, it’s refreshing to see the away corner filled with come-to-win boxers, rather than journeymen who are here to teach a few tricks and survive to the final bell.